A French Impressionist painter, Berthe Morisot was born into a family belonging to the haute bourgeoisie and was brought up to appreciate music and the arts. Her interest and creative flair led her and her sister Edma to further their painting studies by taking classes with Geoffroy-Alphonse Chocarne and Joseph-Benoît Guichard. Guichard exhibited regularly at the Salon and encouraged the two sisters to visit the Musée du Louvre and copy sculptures. In 1858 Berthe and Edma were admitted to the Louvre as copyists and met Henri Fantin-Latour and Félix Bracquemond. It may have been this contact that led them to propose going to paint outdoors to their new teacher, Achille Oudinot. Through Oudinot they met Camille Corot, who had a determining influence on them. Edma abandoned her artistic career in 1869 after marrying, and Berthe carried on painting alone. Her works, which had always depicted mainly domestic environments, became even more centred on scenes featuring her own sisters and their children. In 1868 Berthe met Édouard Manet, for whom she posed in The Balcony (Paris, Musée d’Orsay), which was shown at the Salon the following year. 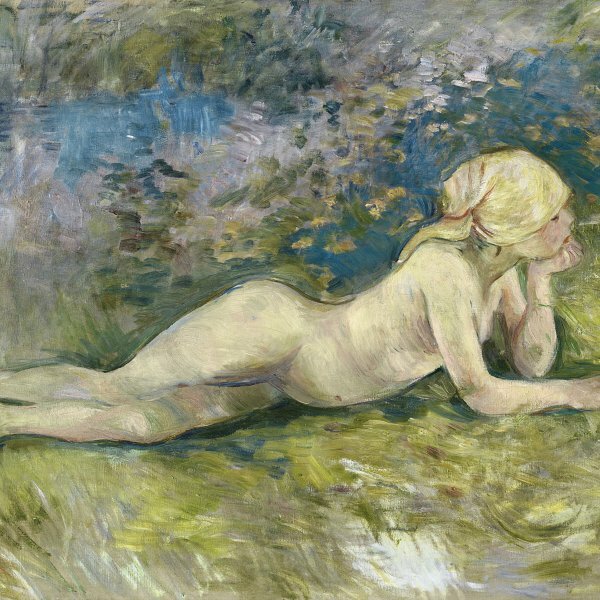 Thereafter Manet and Morisot were bound by a close artistic relationship for the rest of their lives, which was enhanced when Berthe married the painter’s brother Eugène Manet in 1874. After exhibiting at the Salon from 1864 to 1868, Berthe joined the group of artists who began to show their works in the Impressionist exhibitions. She was absent from only one of their shows, that of 1879, owing to an ailment of her only daughter. She enjoyed a close relationship with the Impressionist painters and held frequent gatherings at her home for artists and intellectuals of the day. After Édouard Manet died in 1883, she organized an exhibition in his honour with the help of Claude Monet, Émile Zola and other artists. She died in 1895.